Two of the participants in the April AHIQ link up, Mary and Sophie, had some very nice tone-on-tone piecing in their projects. Since my new improv project, 9+, has 5 shades of grey, I was able to use the idea right away! Isn't that light grey print beautiful? 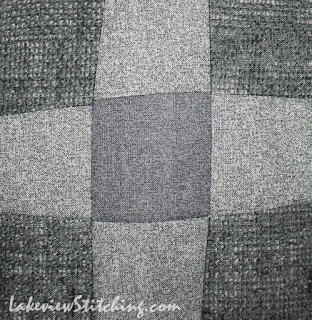 It looks like a rich, grey wool flannel. It's one of the Faux Linens that Connecting Threads had a couple years ago. The dark corners are their Faux Burlap, which is fun too. All the blocks are now finished. Next time...flimsy! Oh I like this! These blocks look good together every way you try them. What wonderful fabrics. Love the printing that makes them look like burlap or woolen. At one time I had a plaid that looked like wool. It makes people look twice. This layout is beautiful in both green/grey and grey tones. Good for you! The texture is really interesting. I don't imagine it would show up as it does in colours. The shapes, texture and tones play really well. I am also a big fan of geay! Love the faux texture on the fabrics. The subtle shades of grey create an interesting design. Wow that was a fast bit of piecing! I like what you did! 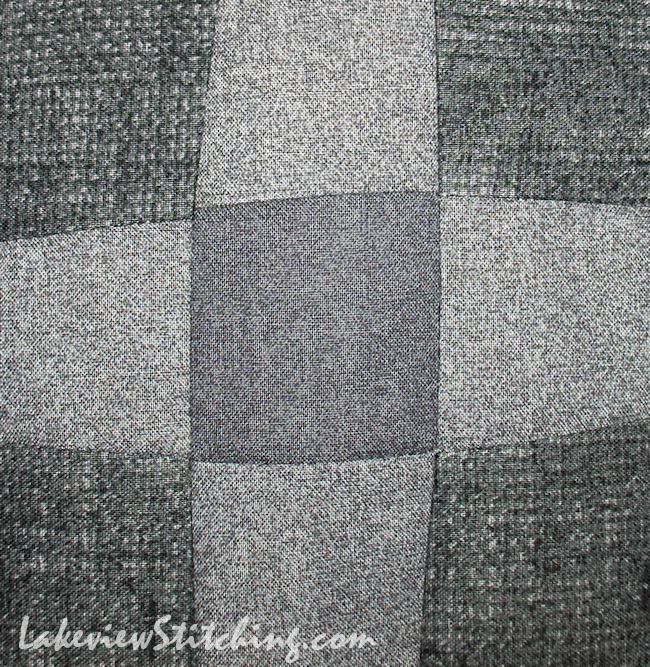 If you use a grey thread to quilt it, you will have the subtle theme continue and have a bit of texture to enhance the modern style piecing. Thanks, Terry! Faster than you think, because the flimsy is finished! 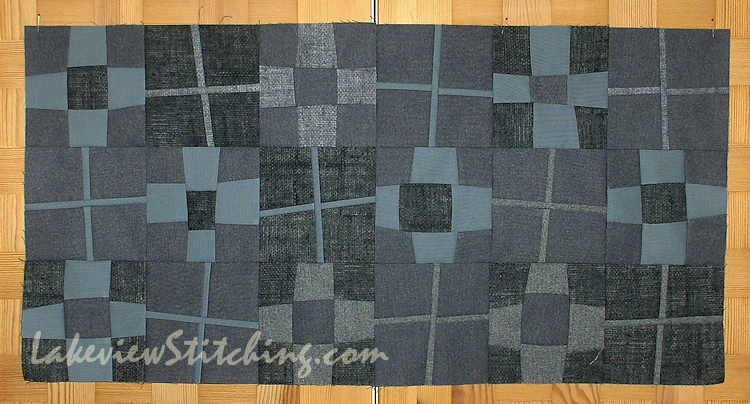 I was thinking of green for the quilting thread, but grey is definitely a consideration too. I don't want to overpower the grey blocks!